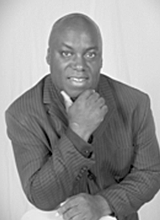 Anthony J. Onwuegbuzie is Professor in the Department of Educational Leadership at Sam Houston State University. In addition, he is Distinguished Visiting Professor at the University of Johannesburg and honorary professor at the University of South Africa. He teaches doctorallevel courses in qualitative research, quantitative research, and mixed research, as well as teacher education courses and educational psychology courses. His research areas primarily involve social and behavioral science topics, including disadvantaged and under-served populations such as minorities, children living in war zones, and students with special needs. Also, he has conducted numerous research studies on factors that predict educational achievement at the primary, secondary, and tertiary levels. Dr. Onwuegbuzie is passionate about helping to advance the field of mixed methods research (i.e., combining quantitative and qualitative research approaches), writing numerous book chapters, encyclopedia chapters, and articles on this topic across several disciplines. With an h-index of 84, Dr. Onwuegbuzie has secured the publication of more than 450 works, including more than 300 journal articles, 50 book chapters, and 5 books, with 4 more books in the pipeline. Further, Dr. Onwuegbuzie has received more than 20 outstanding paper awards, including the Literati Club Award for Excellence 2003, an International Award. Additionally, he has delivered more than 950 presentations and 200 workshops worldwide that include more than 50 keynote addresses across six continents. Dr. Onwuegbuzie is former editor of Educational Researcher (ER), being part of the Editor team of Educational Researcher (2006-2010) (alongside Patricia B. Elmore, Gregory Camilli, Marla H. Mallette, and Julie P. Combs) that secured a first impact factor of 3.774, which was the #1 in Education and Education Research rankings, out of 177 journals. Currently, he is editor-in-chief of the International Journal of Multiple Research Approaches and editor of Research in the Schools. Many of his articles have been the most read and cited among articles in their respective journals. For example, his mixed research article published in ER is the third most cited ER article ever, with more than 10,000 citations. Dr. Onwuegbuzie received an AERA Distinguished Scholar Award from the Stress and Coping Special Interest Group for his contribution to the field of stress and coping. Also, he served as a Distinguished Mentor for the Community of Interest on Mixed Methods Research for Division D. He is immediate past President of the Mixed Methods International Research Association (MMIRA). As a chair/supervisor or methodologist serving on numerous mixed methods doctoral dissertation committees, several of his students have written dissertations that received national or international distinction. Most notably, as the chair/supervisor of Dr. Cindy Benge, her dissertation was first runner-up of AERA Mixed Methods Dissertation of the Year Award in 2013. Most recently, as methodologist of Dr. Shannon Williams, her dissertation was winner of the 2018 MMIRA MAXQDA Dissertation Award. As a person of color with an extensive publication record and, as an active member of AERA, Dr. Onwuegbuzie is in a unique position to pursue his overall goal, which is to be a role model for beginning researchers and students worldwide—especially those who characterize underrepresented populations (e.g., minorities).